Established in 1984, Steertrak has grown to become the UK’s largest on-site commercial vehicle laser wheel alignment and axle alignment specialists, utilising the latest laser technology accepted as the “Gold Standard” for truck alignment by virtually all European truck manufacturers. Unparalleled experience, precision laser wheel alignment equipment and meticulous procedures make us the UK’s No. 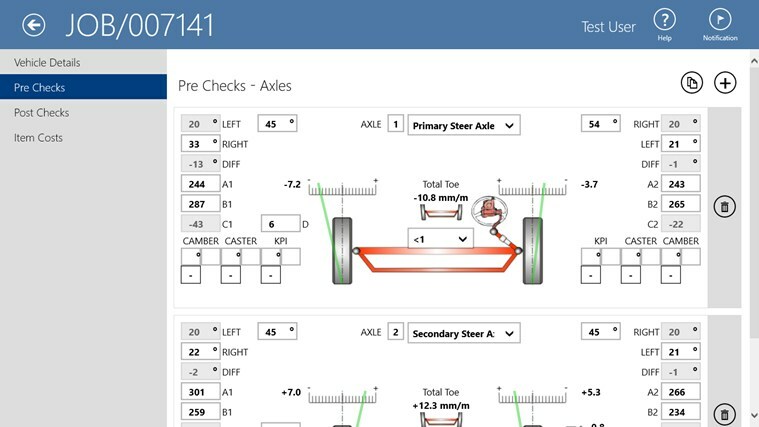 1 choice for commercial vehicle wheel alignment.The SteerTrak application is the engineering team field force table app that is used for Job Allocation, Axle Measurements, Expenses and Report generation.